This topic contains 1 reply, has 2 voices, and was last updated by Wulfyn 1 year, 2 months ago. To better understand concepts in a game it is important to apply a naming system to the principles for better discussion. For example in chess the key concepts of connected, hanging, and semi-open have important long term strategic considerations for the game that can be quickly understood once the position has been identified. This page is an attempt to create the same language for Blood Bowl. Feel free to add your own suggestions below! Cage: Moving players around the ball carrier to prevent them from being blitzed without the enemy having to make dodge rolls. 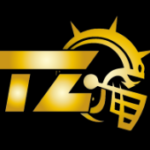 This is a standard defence as the teams only get one blitz per turn so they have to choose between blitzing one of the caging players in order to tag or mark the ball carrier, or taking the much riskier dodge roll to break the cage and blitz the ball carrier. The most common version of the cage is the standard corner guards, where 4 players stand on the squares diagonally adjacent to the ball carrier. Other forms are the vengabus and the fortress. Cage Break: The act of dodging into a square adjacent to a ball carrier that is being caged in order to blitz them. As most cages will have 3 tackle zones in each square adjacent to the ball carrier this is not an easy proposition, often requiring a 6. However some players can be deceptively good at it. An Ag4 player with dodge will break 55% of the time. A stunty is unaffected by tackle zones and makes a normal dodge roll (often 89%). High strength players with Break Tackle (St5 = 50%), and leaping players (Wardancers, Slann catchers = 67%) are also great cage breakers. Double Column: A type of screen characterised by aligning the players into 2 ranks with a gap of 2 squares between each column. This is most commonly seen on defensive plays in order to deny the driving team from making space ahead. The concept is that even if one of the front players is blitzed there is still an intact screen on the second rank. Most commonly seen in Ag4 teams who are able to dodge away from the contact to form a new screen (slightly further back) in the next turn. Fortress: Similar to the vengabus, the fortress is a type of cage, but with 2 of the faces pushed back and this time 2 players inside the cage next to the ball carrier. This has the same principle as the vengabus, but now with 2 supporting players inside there is no weak face. There is also good ball control in that even if there is a successful cage break the ball can often fall inside the cage and then recovered next turn. Also good for hiding vulnerable players or ones you don’t want to be tagged. Marking: Moving two or more players adjacent to an opposing player. The purpose of this is to prevent the player from moving away with a penalty to them being able to do so (such as a negative modifier to dodging away due to tackle zones). If the two players do not result in a reduction in chance of the marked player to move away (for example they are both on the same side) this is known as a soft mark and is almost always a waste of resource as the second player could be doing something else. Otherwise it is known as a hard mark. Screen: The act of aligning your players so that there are tacklezones between them across the width (or a large portion of) the pitch to prevent opposition players from getting through. Most commonly seen as part of either a cage or a double column. Tagging: The moving of one of your players to be adjacent to one enemy player. The purpose of this is to attempt to tie up this player for the next turn by forcing them to dodge or blitz if they want to move away from that square. Often dangerous if the player being tagged is good at blocking as it risks the tagging player being injured. Skills like Tackle, Diving Tackle, Prehensile Tail, and Tentacles strongly improve the performance of the tagging player. Note that if 2 or more players are used this is marking rather than tagging. Vengabus: Hey now, hey now, hear what I say now. The Vengabus is a type of cage where the corner guards one one face are pushed one square further along and an additional player is put into the middle of the cage. The dodge chance of a cage break remains the same (all squares adjacent to the ball carrier have 3 tackle zones), but now the extra central player is able to provide an assist from all of those squares other than the one on the opposite side. Particularly useful when playing against teams that find a cage break easy (elves with dodge have a 55% chance to break), or where the ball carrier is low strength (skinks, gutter runners). Can be completely ignored if the blitz comes from the ball carrier side so often this requires an extra player to make the dodge harder or is pushed against the edge of the pitch making a dodge chance require multiple rolls. All Mens In: The act of placing all – or at least the majority of – your players in contact with the opposing team’s players, particularly those forming a cage or other defensive structure. This will put the opponent under a lot of pressure and require them to make more dice rolls than usual in order to extricate themselves from the situation, such as needing to block several of your players or to dodge several of theirs away. This is often a make or break situation and is used primarily to force an opponent’s hand. It has the advantage of increasing the likelihood of your opponent failing a dice roll and thus causing a turnover at a critical point, putting you in a good position for your next turn, or it can swing the other way. As this gambit gives them plenty of blocks against your players this can – and often does – result in you losing several players and becoming handicapped for the remainder of the game. Sideline Cage: This is a form of cage but, rather than adopting the typical approach of having a player on each of the four corners, this one uses the side of the pitch as half of it and instead places a player on only two corners. For example, if advancing up the right hand side of the pitch, the ball carrier will be placed directly adjacent to the sideline, a player will then be placed adjacent to them at their top left corner and another at their bottom left. Conversely, if driving up the left of the pitch then a cage will be formed using the top and bottom right squares adjacent to the carrier. The selling point is that it requires fewer players to make a cage, but it can also limit mobility as there is less of the pitch to utilise. It can also mean than, should the opponent go for a cage-break by dodging in (again into three tackle zones) and blitzing your ball carrier, then a push back result on the block dice will result in them ending up in the crowd and the ball being thrown back onto the pitch in a random direction. Stalling/Eight Turn Grind: Stalling is the act of delaying the scoring of a touchdown until the latest possible moment in a drive. The later in the half that a touchdown is scored, the fewer turns that your opponent will have to score their touchdown and equalise or score the game winner. As there are eight turns in a half, your turn eight is always the best time to score. Aiming to do this from the outset of your attack and strategising with the intention of doing so is known as the eight turn grind. This reply was modified 1 year, 2 months ago by Andrew.